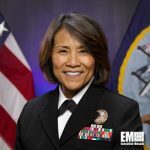 Vice Adm. Raquel Bono, director of the Defense Health Agency, has said she will prioritize initiatives to implement a modernized electronic healthcare records system and reform the Tricare health plan for U.S. military beneficiaries, Military Times reported Sunday. Patricia Kime writes Bono’s goal since she assumed the director role in November is to increase the agency’s support of medical commands and combatant commanders. “I really wanted to create value and provide products to the services so they are more nimble in their delivery of health care to beneficiaries,” she told Military Times in an interview. She noted that implementing the MHS Genesis system can help simplify data access for patients and information exchange among military healthcare providers. 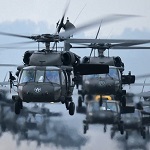 The report said the Defense Department proposed to restructure the Tricare program as part of efforts to increase military personnel’s access to medical services and improve patient satisfaction.